I remember watching a film as a child called the land that time forgot. 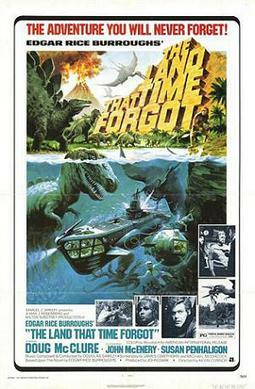 It was about a submarine crew in the war that ended up in a land of forgotten time with cavemen and dinosaurs. BLAME THE INTERNET: Christians, you are NOT persecuted. Well, here we are in the internet age. We are now in a world where the way that we communicate and do business makes us vastly different from that of our forefathers and even our current generation of family. It’s all change for everyone. But the biggest changes are in the way and with the ease that we can access information and the way that we do business. What you think of me will matter little in a community where I do not need you for my very existence. You offer me nothing. I offer you nothing. I offer sincere friendship if it is on the table but if not not, well, then you are not in my world. The way that I create my money and my living is out there in the global market place and not in the tiny little town. The old town christian/religious boss/bosses and work colleagues and work places that used to employ the whole neighbourhood will gradually erode. Shops that were once profitable are/will be shutting up. With the advent of the internet we don’t need store rent and we can advertise, niche, communicate, freely and easily in an open GLOBAL marketplace. Heck, we can even become good friends with our customers in countries and cultures we never even knew existed! When Mohommed buys one of our widgets online it is exciting and we don’t think, hey shoud I sell to a muslim. We are grateful for the sale because we can feed our family and build our business and enhance our business reputation. When a Mr Dawkins from the UK orders 5 of our widgets online we are grateful. Or when a Mr Buddha who needs 10 widgets asap places his/her orders, it’s all good stuff. People will work more independently because they will have to in the coming decade/decades. People will learn and they will have to adapt and develop their abilities to rely on themselves and not on an outside source, like the village boss or a god or whoever else used to pull the strings. You want to tithe 10% then tithe it into your customers for satisfaction by offering a loss leader or a great offer. Or give 10% to a charity that actually does some good. The internet disentangles the detached groups and opens the eyes of even the most guarded of people to the reality of the way the world actually works. Nothing remains hidden. We all have world view and in the future everyone will need to participate with integrity, common courtesy and common sense in order to survive. The ways that the coming generations will do business will even amaze us as technology becomes more and more advanced. People will not be able to survive by ignorance alone anymore. People will need knowledge and they will have to be self reliant. The old community rules and unspoken regulations will become extinct at a surprising rate when self preservation is at at hand. It’s always about the money, you can’t survive without it! When people become self reliant they will find it very hard to believe that it is someone else/or something else that is doing the work and not them because by definition and action they are doing all of the tasks and at the same time using their own initiative. Independence will strike at the core of everyone everywhere. They won’t have a choice. I buy products on the internet because what I could once buy in the local shop I can’t even get in the city! I have made 3 purchases in the past week online because I can’t buy the things I want any other way, and, guess what it’s cheaper! I buy from all over the world in the blink of an eye and think nothing of it. And so does everyone, we have to if we wish to purchase many of our items nowadays. I am not saying that all bricks and mortar businesses will become extinct. There will always be lots of them, but even they will have to watch their manners if they wish to survive. Turning away Gay people, or Muslims, or anybody else for that matter will affect them because they will be UNDERSTOOD as being ignorant and unfair. Also, the law will change where this ignorance becomes illegal. Even as I write this blog today holidaying in the UK, I am witnessing history being made. Gay marriage has just been accepted in Ireland and the church is very upset lol! Three churches have just have shut down in the town I am holidaying in. One church I saw demolished by a big bulldozer [Oh, what a wonderful sight to behold!] and another is to be demolished and turned into holiday apartments. Actually another big church about a year ago here was turned into a supermarket, with it’s stain glass windows still attached. In the good ole’ USA the nones are waking up to reality, not just because of the church/religion being nonsensical but because they are very aware of the way that society is changing and their place and survival in it. In life it is always about the money! The religion that once held the community together will become the antithesis. Dislocation and detachment has already set foot in the community. The "Outed" are only in waiting. SO WHAT HAPPENED TO THE PEOPLE THAT TIME FORGOT? Grandson (GS): Grandaddy who are those people carrying those banners on the sidewalk? Grandaddy (GD): Well, they are the people that time forgot. GS: Oh, I see, but, why are they so thin? GS: Why don’t they eat? GD: That’s because they don’t have any money and they are unemployable. GS: But, I feel sorry for them. GD: Read the placards grandson. Gs: Wow! They sure do write some horrible stuff! GD: Well, You can’t pity them or help them because they do not know what they are saying or what they are doing. They are emotionally immature, frightened and do not possess an objective outlook. The are what is traditionally known as nuts! GS: I see Grandaddy, I’m glad they don’t live in our neighbourhood. GD: Ha ha, they would never set foot in our neighbourhood. GD: Because nobody upon nobody would have them, And they would feel even worse about themselves! GS: So you’re saying that they feel worthless about themselves, that’s crazy! Why is that? GD: Because worthlessness was fed into them by nasty poisonous men who wanted to profit from them. Those men are now dead, But, they as a group were dependent on those men as much as those men were dependent upon them. There is nowhere for them to go either emotionally or intellectually. GS: What a mess Grandaddy, what a mess.